Wearable Technology brings a revolution in the way you do many tasks. The wearable technology applications can smartly support you for the betterment of your business or some tasks you manage daily. Wearable technology inspires the wearable devices which are incorporated with the advanced electronic technologies and computer. The wearable devices can be considered as the products for Internet of Technology. Wearable devices are developed to reduce human efforts using technology which is easy to acquire. Wearable Technology apps ease the tasks of humans to a good level with compare to the smart phone apps. Newly launched Wearable devices by the Giants Apple and Samsung are successful in gaining a mass market attention. Specifically, the professionals of IT sector are defining great useful apps to be installed in the wearable devices. They have already uploaded lots of applications for wearable devices that change a way you handle the things. It is a trending technology and allows any business to appear in the wearable devices through the smart going applications. For App Development, wearable technology and devices are getting a good response as the technology is growing day by day. The experts are considering Wearable technology as the frontier for app development. The Android and Apple wearable devices introduced in the market have changed the way of using for the applications. A fact behind it is, Wearables offer complete utility to the users. IT companies are investing their efforts to come up with the Wearable devices app development. Here some sectors are discussed for which you can create the best experiences with wearable apps. Health and fitness is a leveraging wearable category to the maximum. The utilization of Health and fitness applications has managed the day-to-day activities to be done by the easier way. App Development companies worldwide have implemented their resources to deliver the interactive and usable health & fitness applications to the users. Wearable technology in healthcare society has brought many revolutionary changes. For the wearable devices of Android and Apple, applications have maintained their space in the day to day life of users. As people are becoming the health-conscious day by day, a range of apps for this category helps them by one or other way. 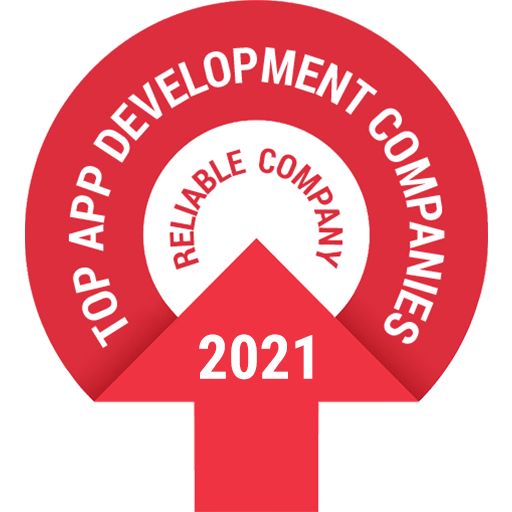 Even the companies invite the best app development ideas from the users for this category. The apps can maintain the track record of your day-to-day work or can notify you with your heart rates. Anybody can get the diet plan as well or can gain the knowledge about the nutrition involved in a specific food item. Even the smart phone apps leave behind in this category with compare to the applications for wearable devices. Approach premier company iMOBDEV to craft the interactive wearable technology apps for Health and Fitness. The Wearables have replaced traditional photo Ids and Badges in many large organizations. Getting around the large campus becomes the easy and smooth process with the wearable device app development. Wearable devices can offer you the watch-based security identifiers. With the use of Near Field communication authentication, Wearables make it possible to add informational messages to the user. For streamlining the back-office functions, Wearables can help you in a more efficient way. Specifically for the businesses, applications for the wearable devices can help you in tracking the exact time spent on projects, manage travel expenses, credit unions and much more. These are just some examples where the businesses can optimize the wearable technology applications. The organizations and businesses have many procedures included in a line, where the apps can help in a better way. But, sometimes they can not make the best use of technology due to lacking of information or knowledge. But, you can approach the top mobile app development company or wearable device app development company to help you to manage your business in a smart way. Believe me, you will conclude with the best technological way to manage your business by this way. Wearables have the intelligence to improve the way you collaborate with others. Collaboration among the workers, supervisors, colleagues, clients, etc. is an important part of the organization or big company. The process needs to be streamlined in a proper way. Wearables can assist all people coming in the line of interaction with each other to manage the collaboration. This will facilitate them to work together in real-time, hands, free and immersive ways. Wearable technology business applications still have a long way to go! In the companies with limited conference room is a complex time. With the use of a wearable device application, anybody can book the conference room for the time he/she prefer. The features are not limited to the booking of a conference room, book any of the office resources with the smooth way. The wearable devices are easy to reach and handy. Hence, users can use the device immediately and book the resource by setting the duration. Other people can also fetch the information about the booking of resources for the specific time. Hence, they can make the plan to utilize the resources accordingly. In the fields of construction and manufacturing, wearable technology can really come up with the smart solutions ever for the worker. Both are the wide fields and still, the companies have not acquired technology to a great level. Wearable technology can provide them a platform to work more efficiently with easy to optimize ways. The above discussed are the only some factors for which wearable device mobile apps can assist in a smart way. Any type of applications can be developed for the wearable devices having a practical approach. Many mind-blowing usages of Wearable Technology are trending, seriously! iMOBDEV is the leading mobile app development company help global clients to define their business applications. The brilliant Android and iOS app developers have also gained expertise in shaping the world-class apps for wearable devices as well. Professionals extend the intelligence in adding the great usability for the wearable technology applications. As a customer-centric company. iMOBDEV Technologies assure the clients to deliver the appropriate apps for each range of wearable devices.